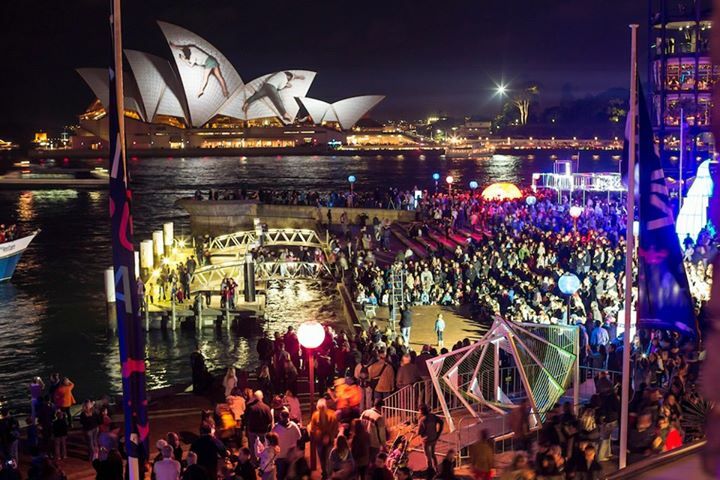 Sitting alongside Vivid Ideas and Vivid Light, > Vivid Live is a key component of Vivid Sydney, the city’s premier winter creative industries and cultural event, owned and managed by Destination NSW, the NSW Government’s tourism and major events agency. 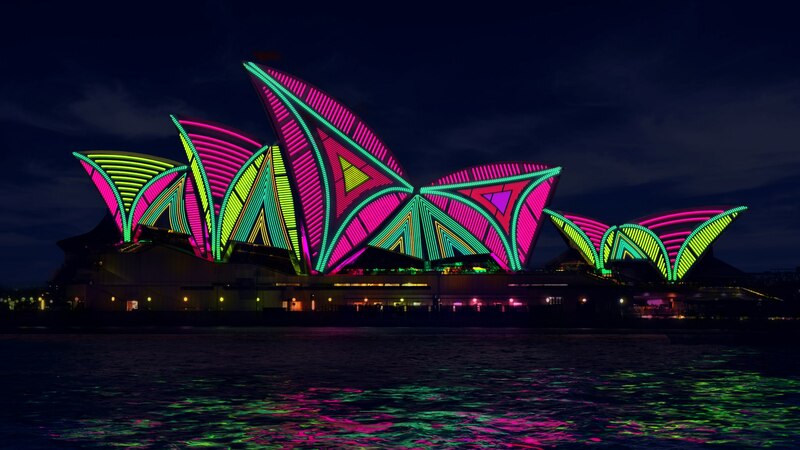 The Sydney Opera House will again welcome some of the most ambitious and innovative local and international artists for Vivid LIVE, a ten-day celebration of music on the nation’s most famous stages. 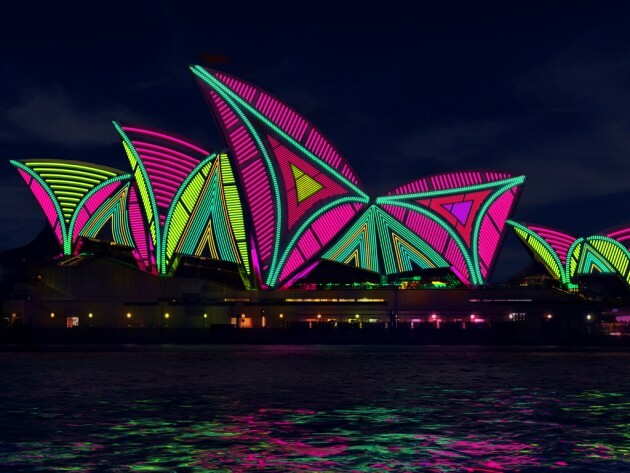 Since Brian Eno first initiated the transformation of the Sydney Opera House sails for the inaugural Vivid Sydney Festival in 2009, Lighting the Sails has become the centrepiece to Vivid Sydney, attracting worldwide attention and accolades. 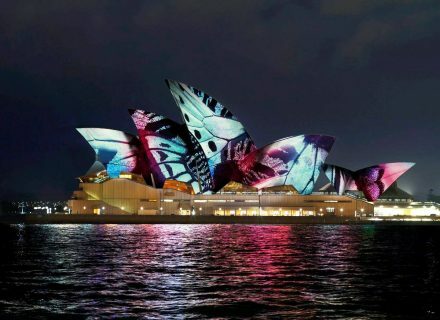 In a watershed moment for Vivid LIVE, Australia’s own creative innovators The Spinifex Group will take to the Sydney Opera House sails with a newly commissioned artwork, transporting audiences through a playfully projected journey that will celebrate Vivid Sydney’s light, music and ideas in an immersive new way. 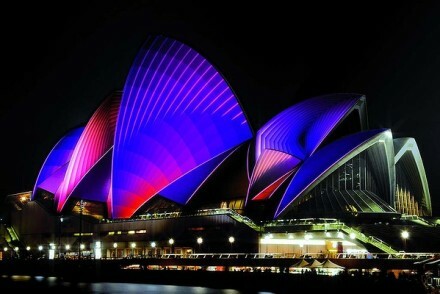 Taking the art of light projection, video mapping and motion graphics to extraordinary heights in their many large scale installations, the sixty-strong Sydney agency now launches upon their hometown to create a new visual adventure on one of the nation’s most iconic landmarks, featuring a new commissioned score by Sydney’s own Heavenly Antennas. 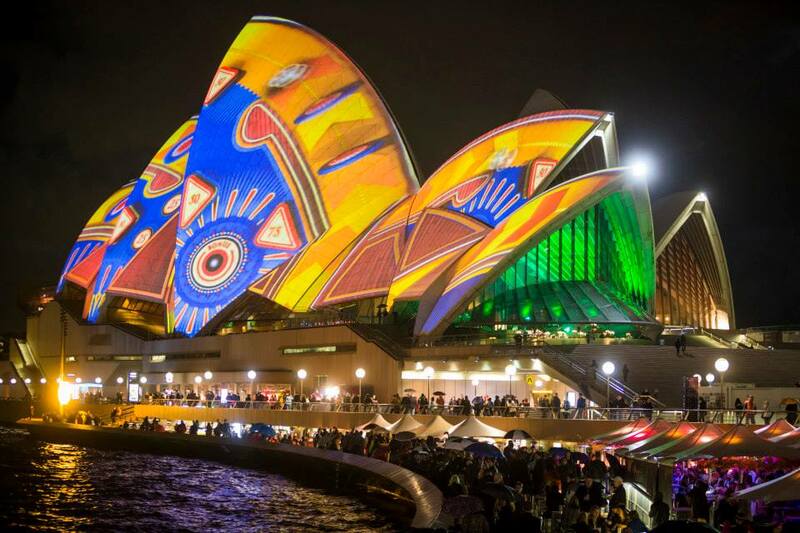 The Spinifex Group will transform the city’s most coveted canvas promising a new visual adventure featuring dramatic animations and iconic, thought-provoking imagery. 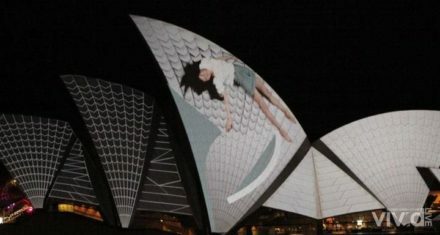 As part of their annual makeover, the ground-breaking technical executions on the Opera House sails will combine light projection, architectural mapping and tightly-choreographed motion graphics as the sixty-strong Sydney agency takes on their hometown to perform on one of the nation’s most culturally significant landmarks. Richard Lindsay said …. 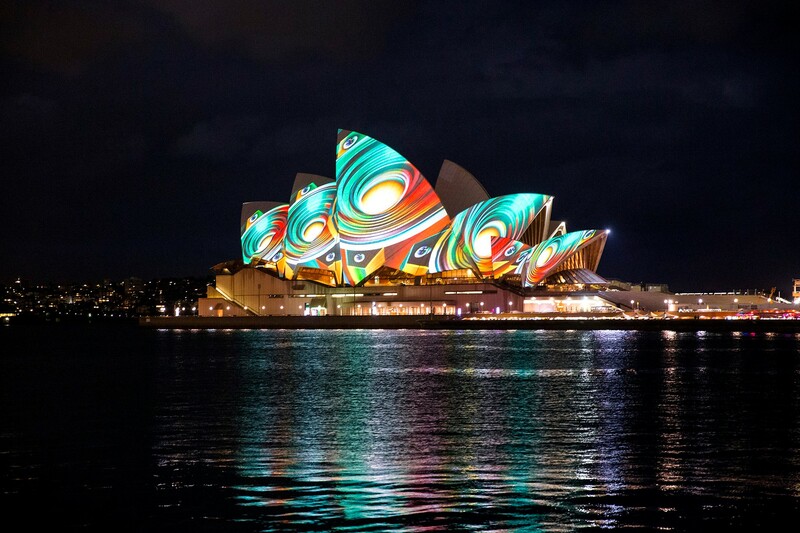 “We wanted to create things that people could identify with and there are some Sydney elements that keeps it deliberately local – but it’s not a tourism piece. I think if there isn’t a little bit of magic to it then we’ve failed.” “Riskier (and risqué) ideas were toyed with in the beginning but what Spinifex settled on was an ever-evolving sequence of imagery that – they’re hoping – might just spark a knowing smile from the locals. 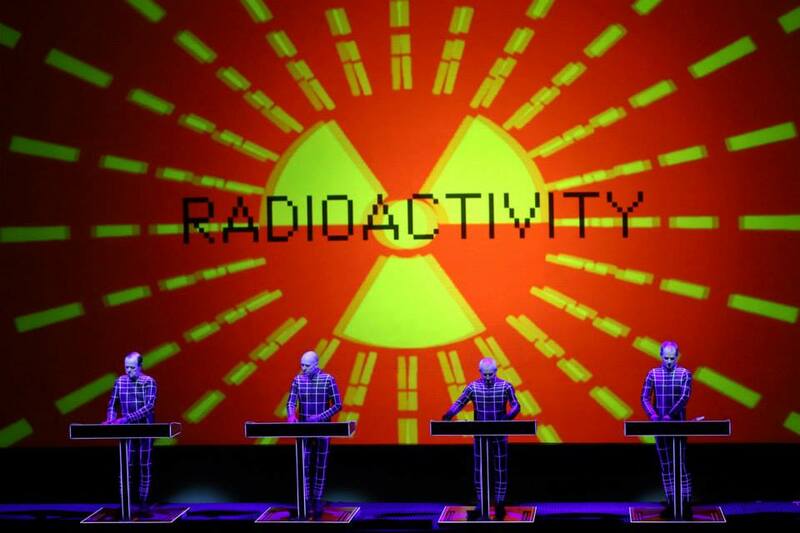 As one of the nation’s great international success stories, the record-breaking agency has undertaken some of the largest projection mapped projects ever seen, displaying their versatility and expertise across international sporting events (Beijing Olympic Games 2008), euphoric cultural celebrations (Shanghai World Expo 2010) and large-scale interactive installations (Cisco House London 2012)..
Sydney electro-pop dup Heavenly Antennas will open Vivid Light with an original musical score created to accompany the light projections by local creative company, Spinifex. Heavenly Antennas is a marriage between the divergent skills of Kyls Bertland’s orchestral and song writing background and the electronic sounds of her sound mixer, Josh Wermut. 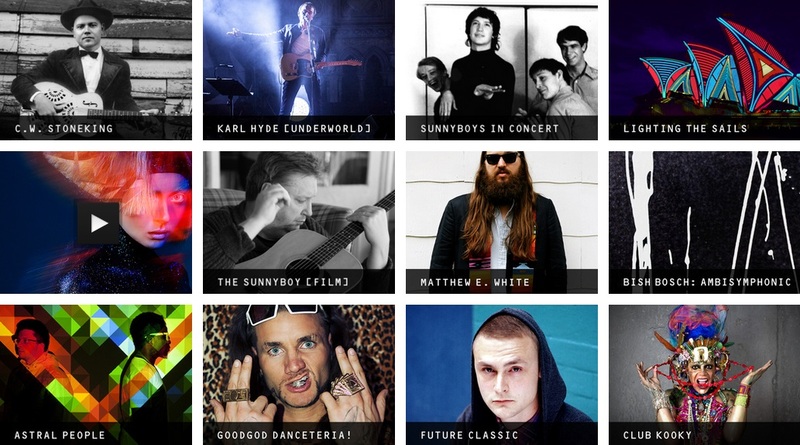 Heavenly Antennas is a boutique music & sound post production house, catering for Film, TV & advertising. 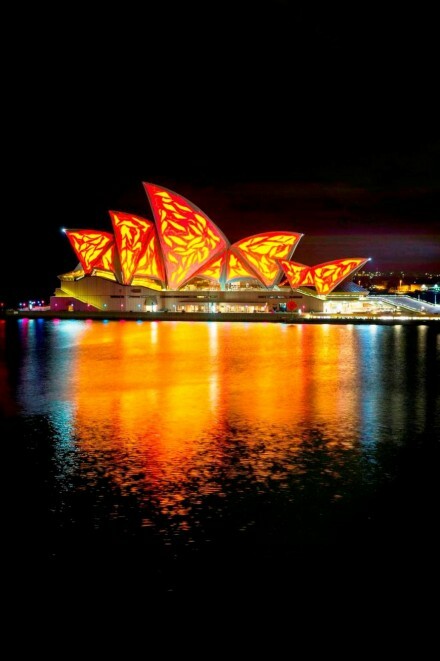 With a background in music production and writing musical scores for film and large-scale audio-visual installations, the duo were asked to be the first Australian group to create the musical score for Vivid Sydney’s Lighting of the Sails. 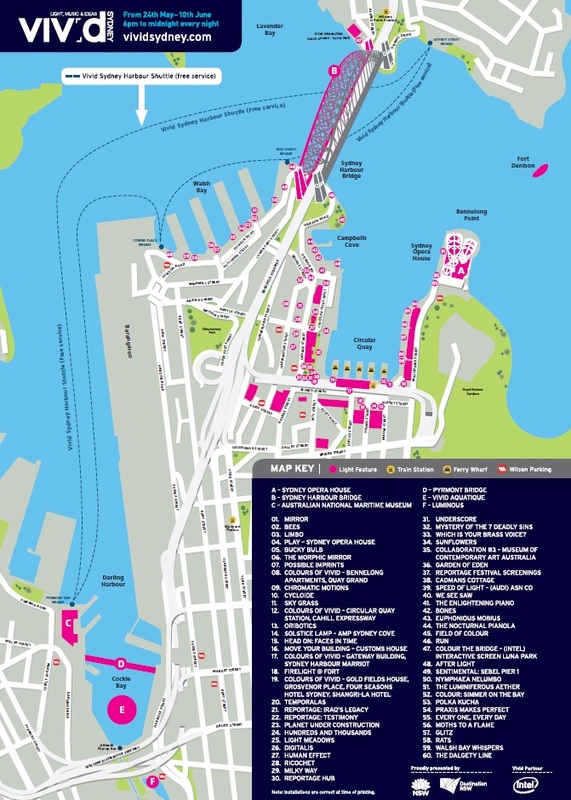 The Vivid footprint extends this year to include Fort Denison, the Sydney Opera House, Circular Quay, The Rocks, Walsh Bay and Darling Harbour. 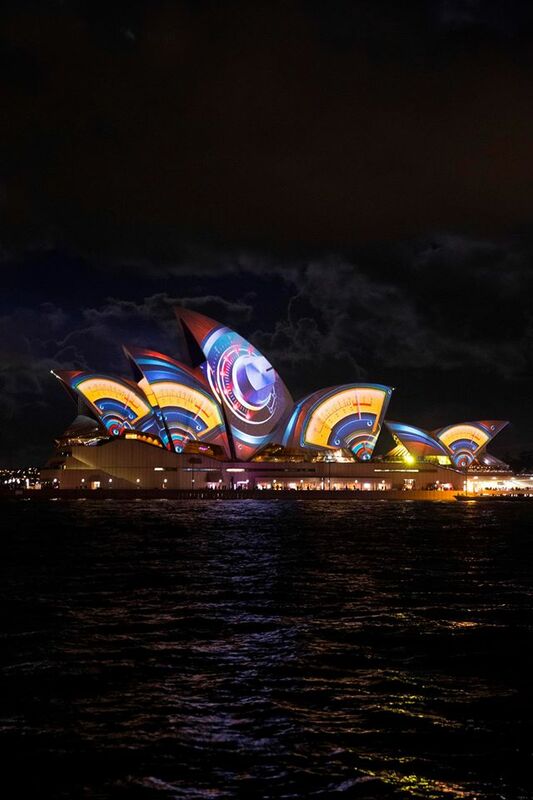 The Vivid journey starts at Fort Denison and continues on the western boardwalk of Sydney Opera House where a series of stunning projections transform the famous sails with a medley of light projection, video mapping and motion graphics. From here, a series of interactive and immersive light art sculptures and installations paves the way. 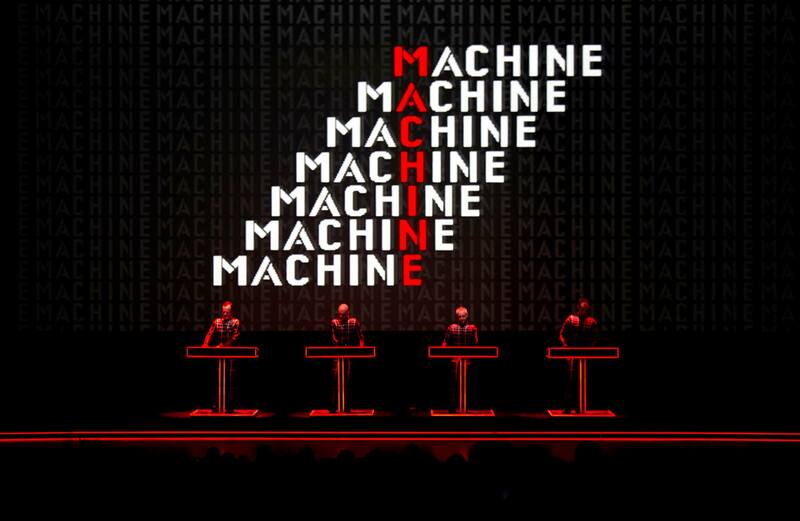 Some have a message, some are pure fun, most are interactive. 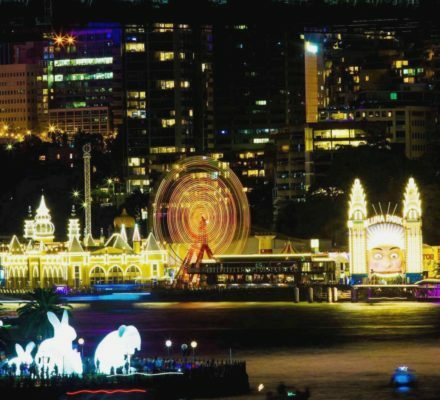 Either way it’s an engaging, colourful, startling and beautiful way to experience Sydney Harbour on a winters night beneath the stars. 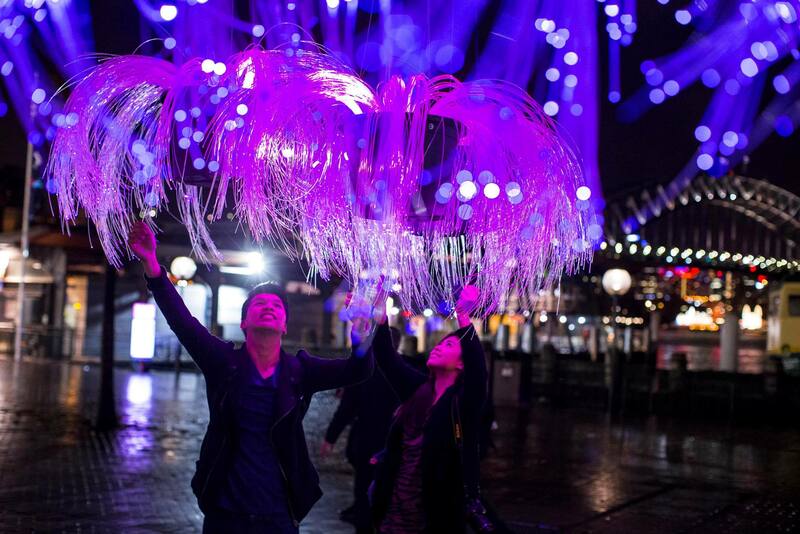 On the Circular Quay promenade, Bucky Bulb is hard to miss; a huge, old-fashioned light bulb is criss-crossed with translucent tubes, pulsating with colourful LED lights. 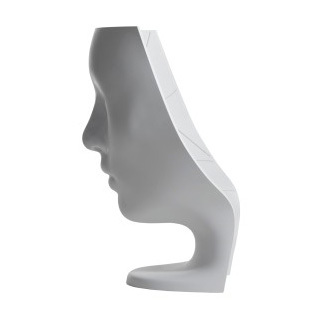 At Morphic Mirror marvel at your reflection as its shimmers and shifts your rapid movements will induce waves that rippling across the mirror’s surface. 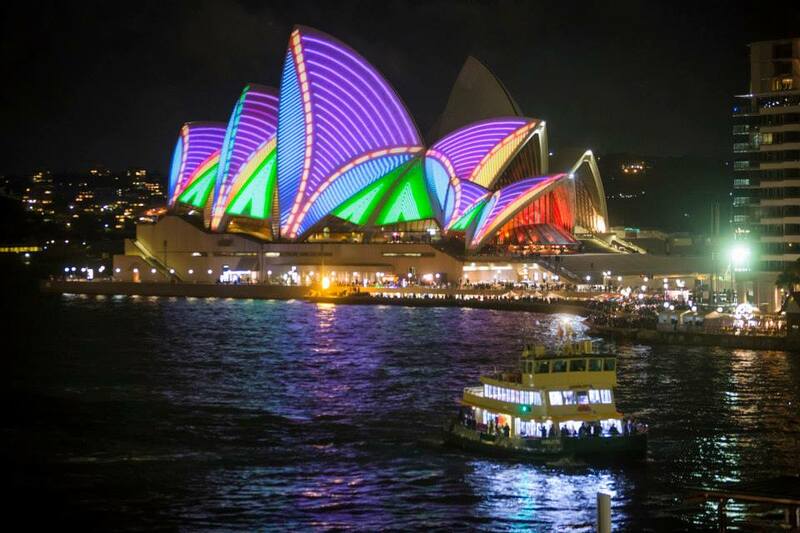 From this vantage point, you can see the Colours of Vivid splashed across the CBD and skyscraper buildings of the Sydney Harbour foreshore. 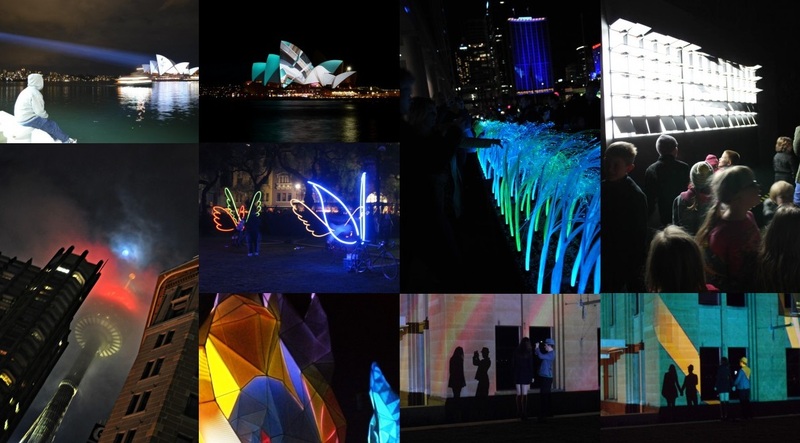 Vivid Sydney returns with the longest ever Light Walk featuring interactive light installations, illuminated skyscrapers and large-scale 3D mapped projections around Sydney Harbour’s iconic foreshore. 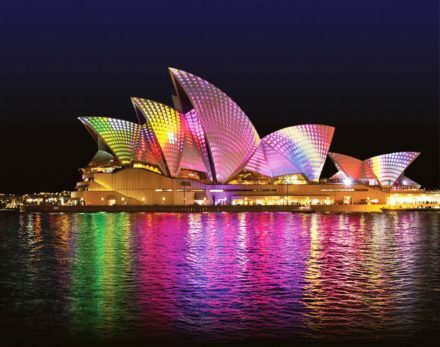 Light installations from Germany, France, Italy, United Kingdom, USA, South Korea, Malaysia and New Zealand will feature alongside Australian works. Head along George Street in The Rocks to discover the cobblestone laneways of Sydney’s historic precinct filled with interactive installations such as Human Effect; as you approach, a beautiful “garden” appears to be growing in a laneway, only to wilt and slowly die before your eyes. 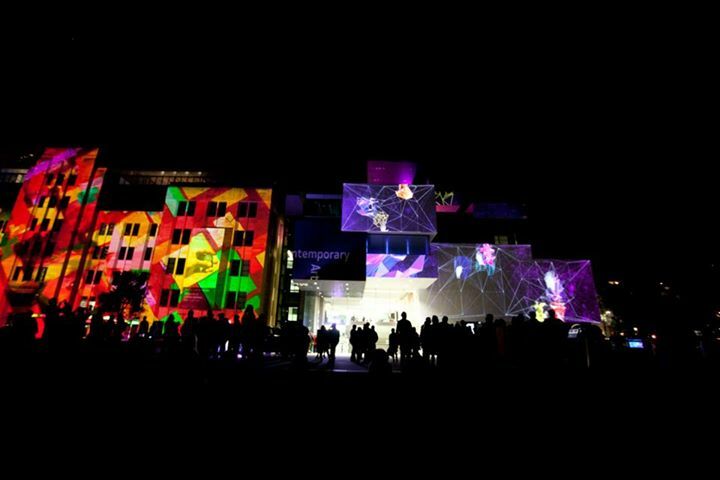 The Electric Canvas returns to VIVID in 2013 with an engaging interactive projection at Cadman’s Cottage. 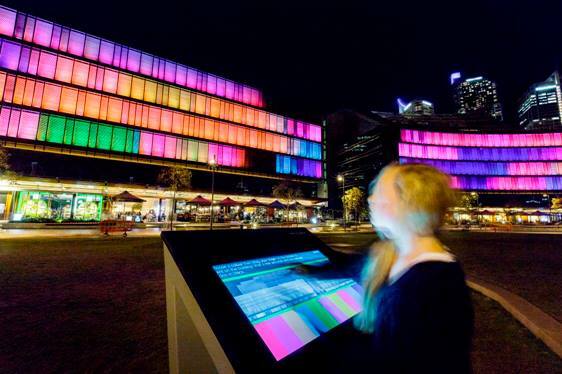 Using a large touch screen, people of all ages can create their own architectural projection. With a variety of themes, tools and pallets the participant is able to select different architectural regions and then apply textures and animations to the cottage in real time. 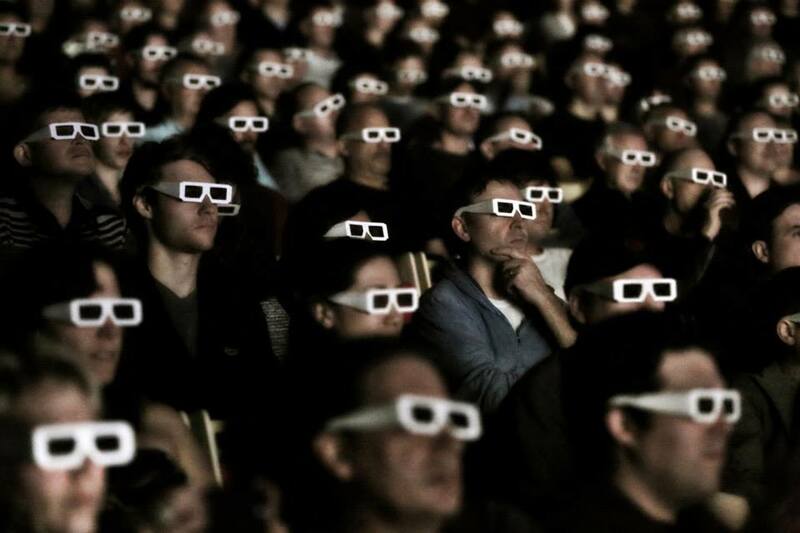 At the conclusion of each timed session, a photo of each artwork is pushed to a Twitter account where the pictures can be viewed, downloaded or retweeted. Make your way to Campbell’s Cove in The Rocks where you’ll discover the Enlightened Piano, a grand piano set on a small stage. 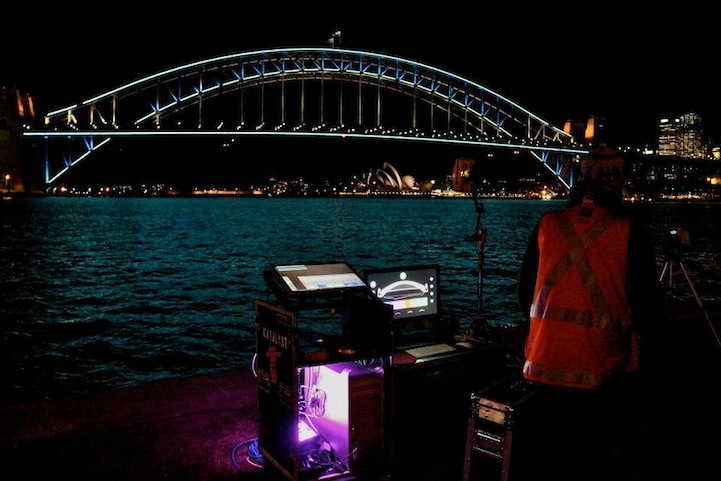 Whether you’re a professional musician or an amateur, you’ll be able to create a piece of music that produces a unique light pattern – under the stars by Sydney Harbour. Further on, take a ride on the We See Saw where a LED screen lights up in your own individual colour scheme with each bounce of the see-saw. 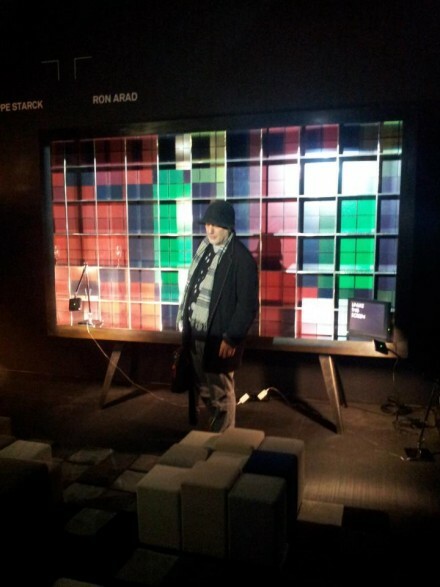 At the Nocturnal Pianola, you can play a free-standing piano keyboard and watch in awe as the keys light up in a spectrum of fabulous colours. 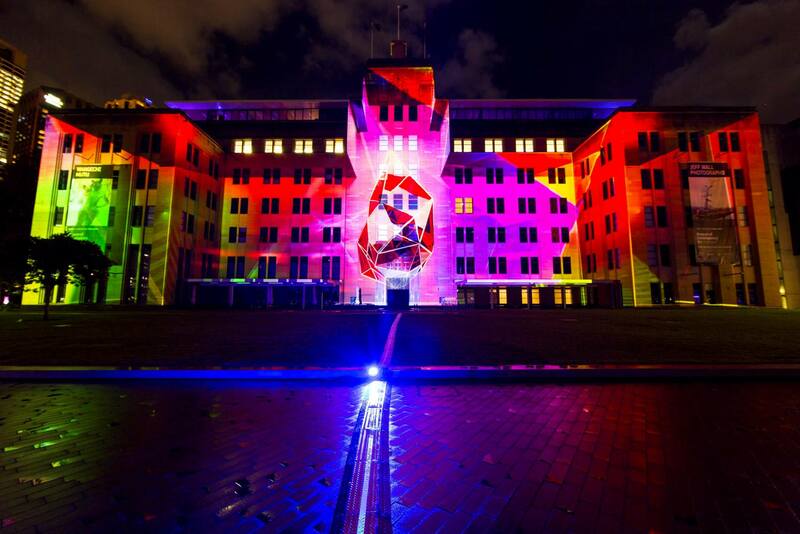 Continue around to Walsh Bay and discover Sydney’s newest arts precinct where there are more stunning installations. 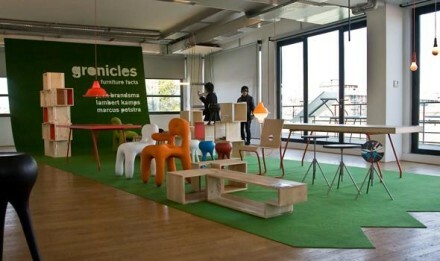 At Polka Kucha, generate your own unique experience of space, light and colour – by simply turning a wheel. Get a feel for this historic precinct through Walsh Bay Whispers when all your senses are engaged in a discovery of the past. You can even imagine what the rat plague of 1900 was like with Rats, capturing the chaos through sound, light and interactive elements on land and in the water. 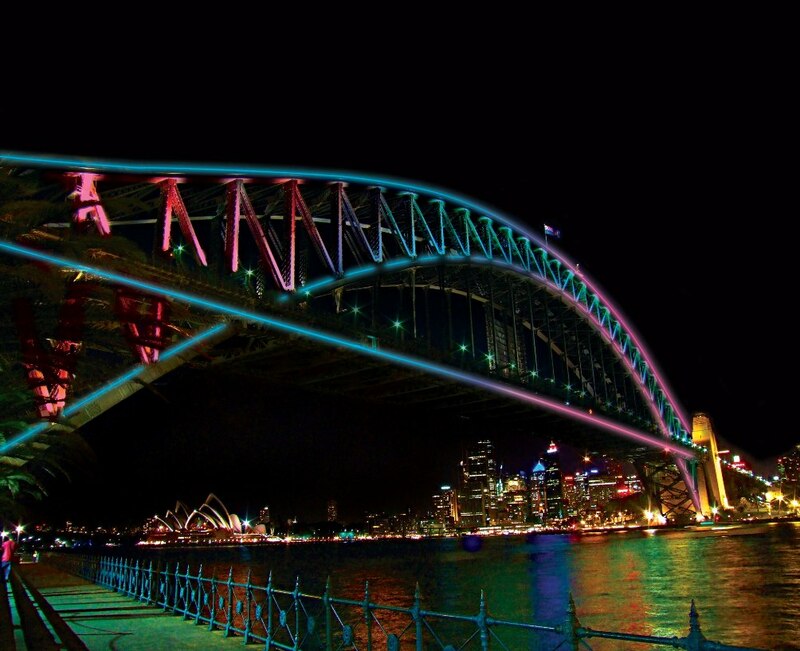 Also for the first time in 2013, the Sydney Harbour Bridge will be the centrepiece of a new interactive light installation, extending the Vivid Light Walk across the harbour and into North Sydney ! 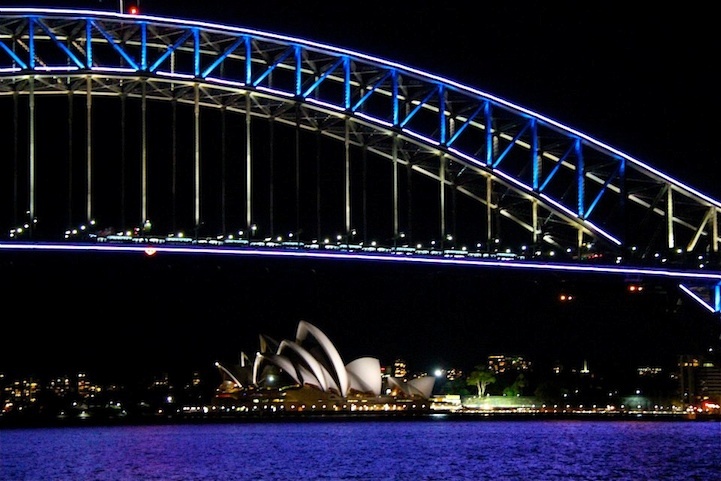 Using the latest interactive lighting technology, you’ll be able to select a section of the bridge to light up, choose your own colour and watch in awe as your illuminated creation brings to life the beautiful grey arch and spans of this iconic piece of Australian architecture. It’s a rare treat to play with something you drive, walk or cycle over on a regular basis! 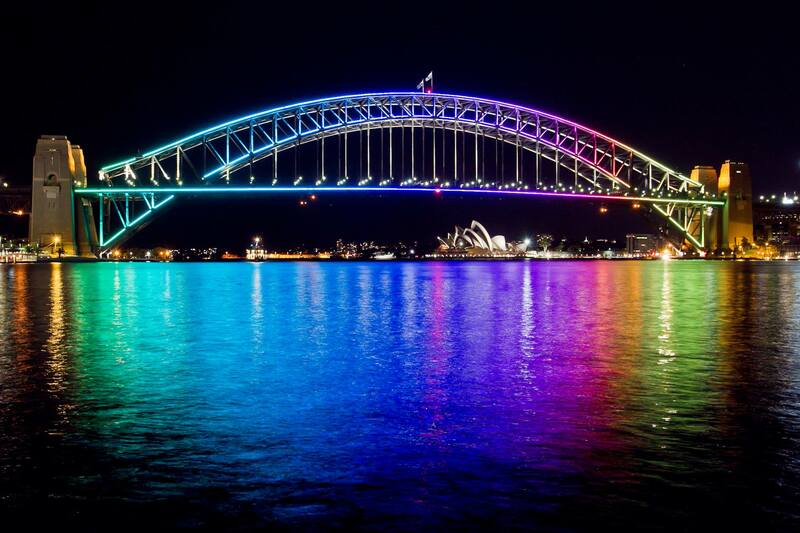 The result is not just a beautifully lit bridge, stacked with an amazing over 100,800 energy-efficient LED lights. 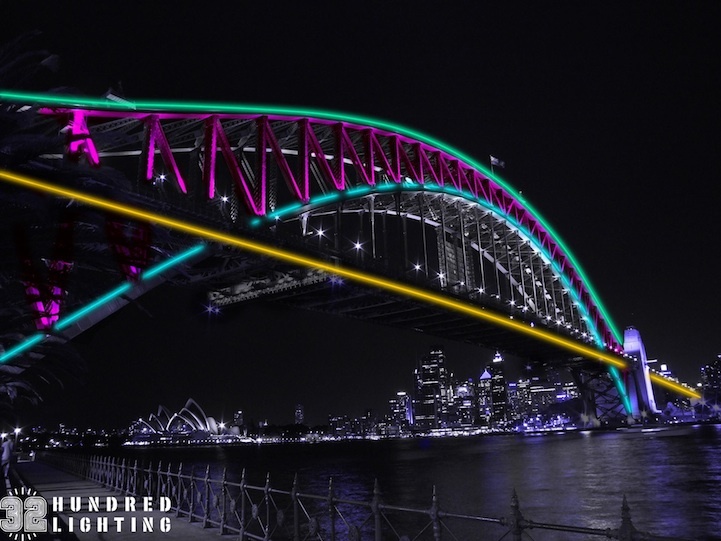 The lighting of the world-famous bridge is another major collaboration designed especially for Vivid Sydney by 32 Hundred Lighting with partner, Intel, who is delighted to turn the Sydney Harbour Bridge into an interactive light experience using the Intel Core processor family. Lighting installation designed by Iain Reed and software design and production by Martin Bevz. 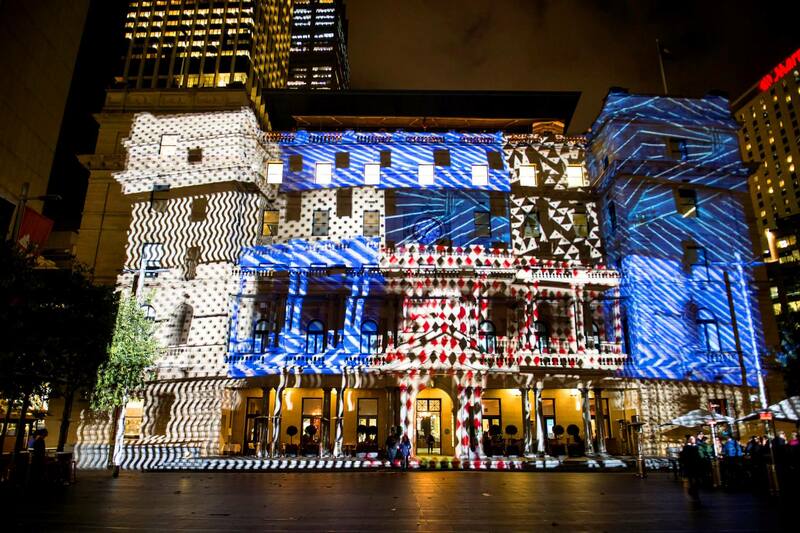 This year, for the first time, Customs House becomes interactive with Move Your Building spectacular 3D mapped projections that are controlled by you and accompanied by music illuminating the façade of one of Sydney’s landmark heritage sites. 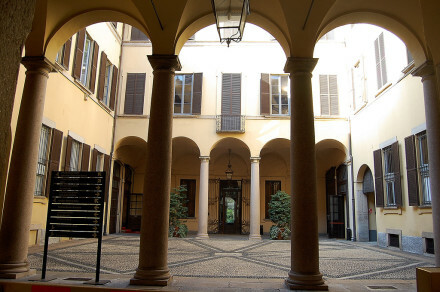 You just choose a tune from a playlist, decide the graphic theme for the building and start dancing on a mini dance floor located in front of the building. 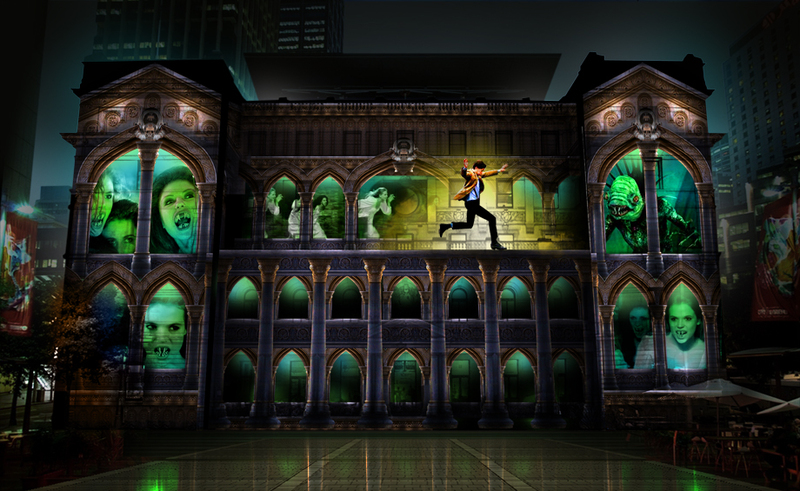 As you dance and move, you’ll be interacting with the building via the latest projection and mapping technology. 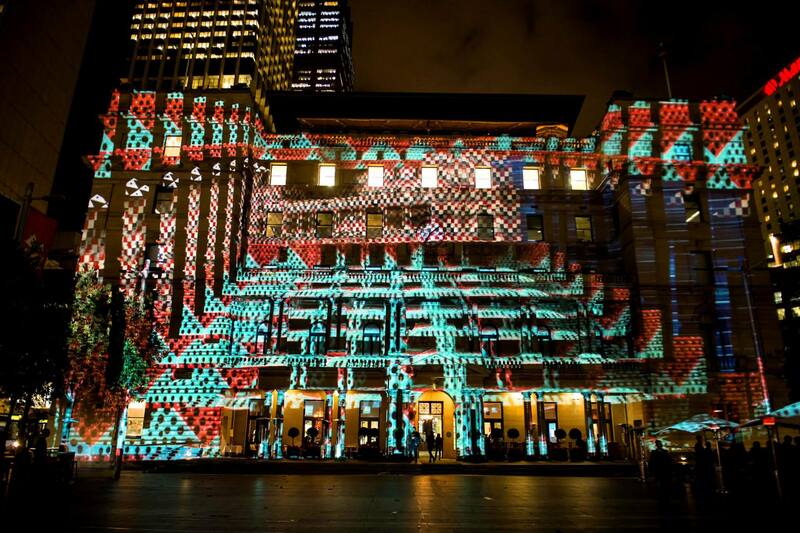 Move Your Building is a collaboration between French design company, Danny Rose, TDC – Technical Direction Company, Customs House and the City of Sydney. 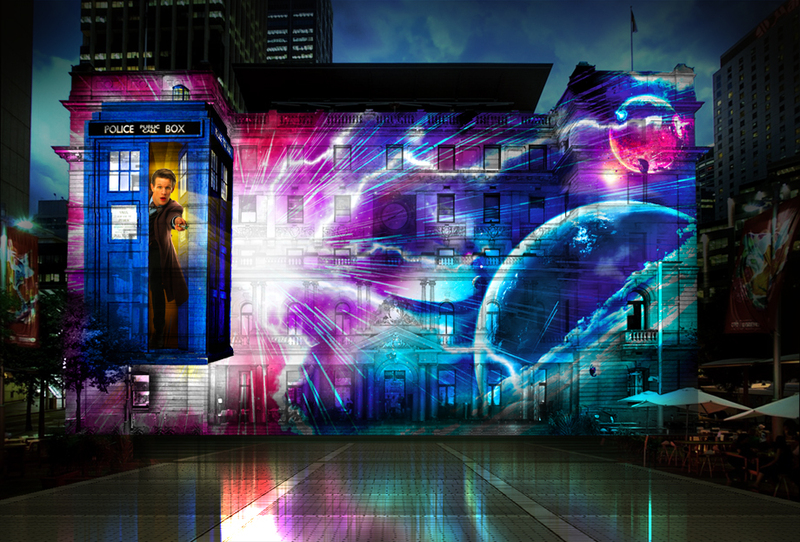 The grand façade of the Customs House at Circular Quay will feature a visual feast of 3D-mapped projections of the Doctor and some of his greatest enemies. The soundscape with the projections will feature music from the TV show including I am the Doctor and the iconic theme tune. 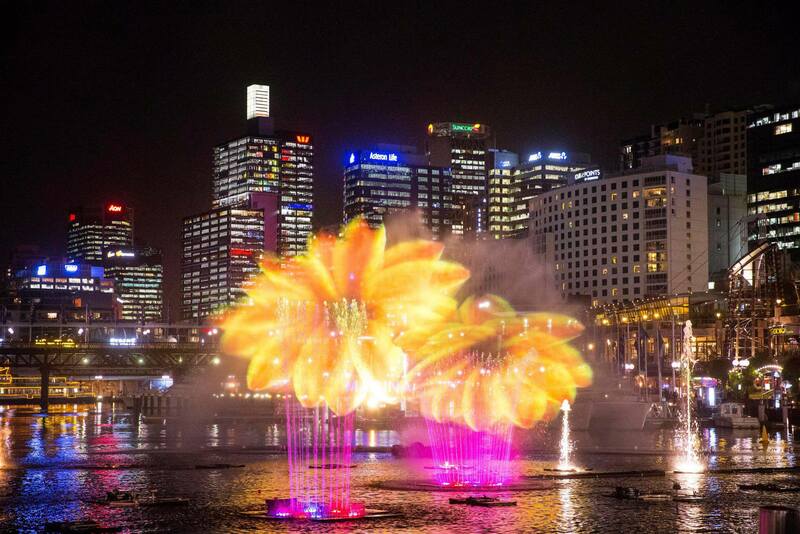 Darling Harbour is now officially part of the Vivid Sydney event footprint. 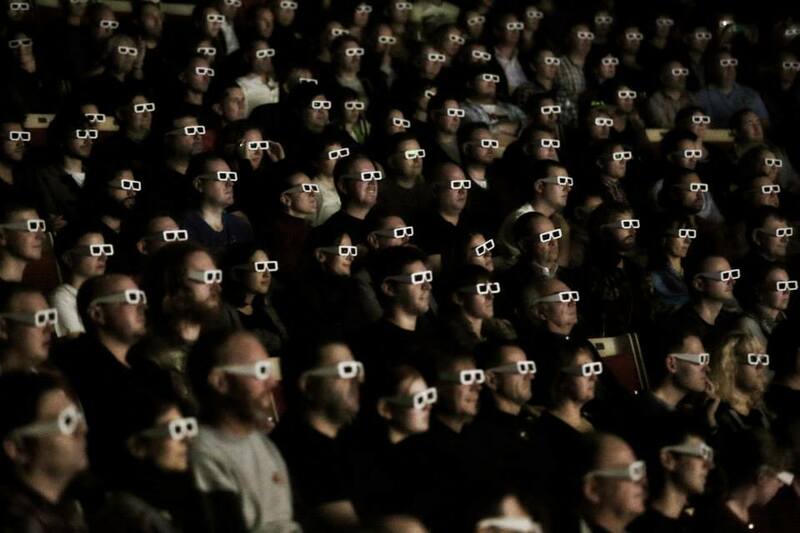 Ever wanted to play video games on a screen that’s 150 metres wide and 4 stories high ? Who hasn’t ? ! 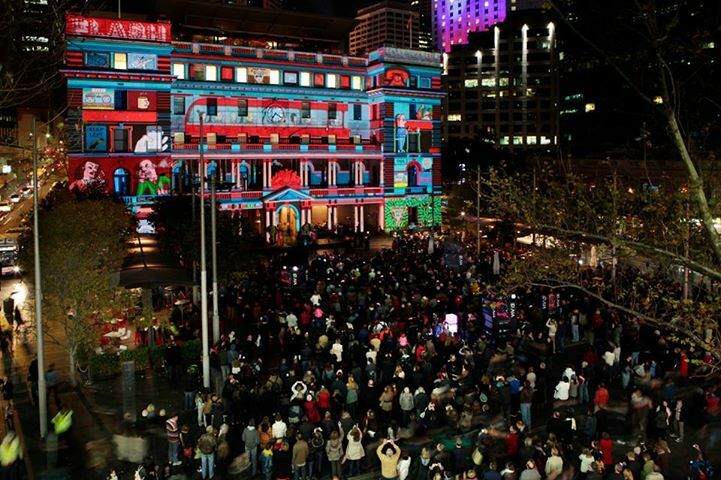 Luminous returns to Darling Quarter with it’s huge, interactive LED facade. 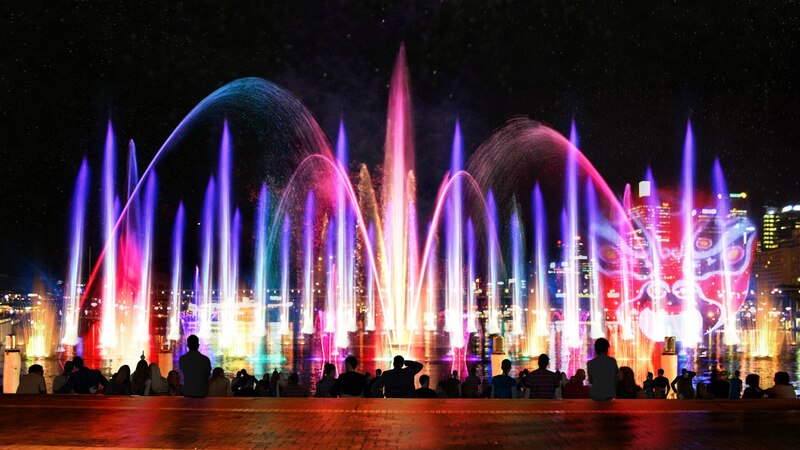 Vivid Aquatique is a completely immersive water theatre, combining a magic 20-metre wall of light, colour and music inspired by the fountains of Versailles. 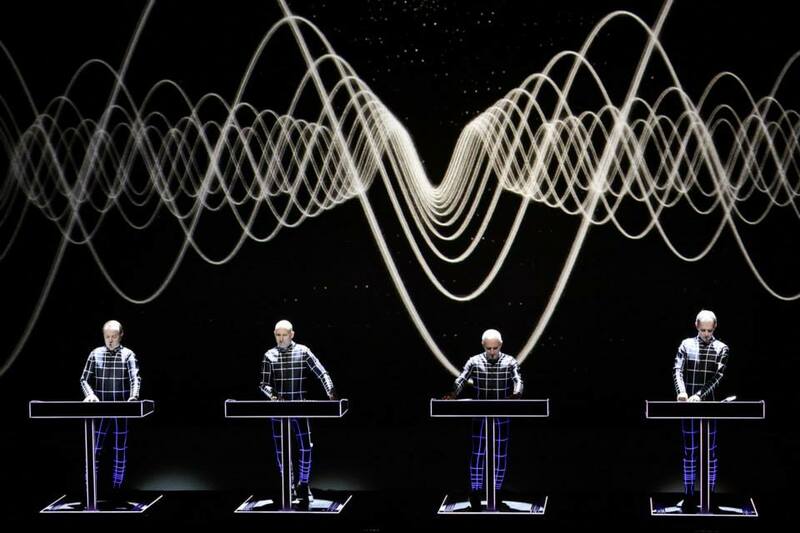 This is the first time a spectacular show of this scale has been staged in Australia. 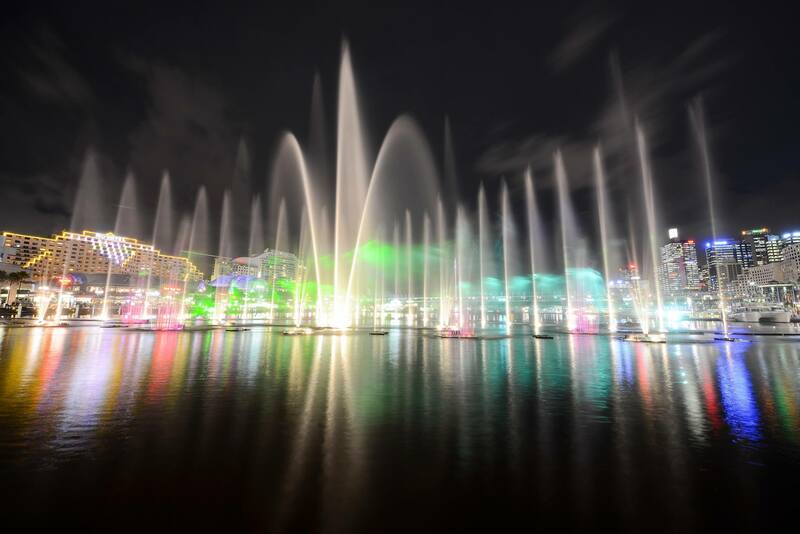 Aquatique Show International are considered to be unrivalled experts in water shows and special effects. 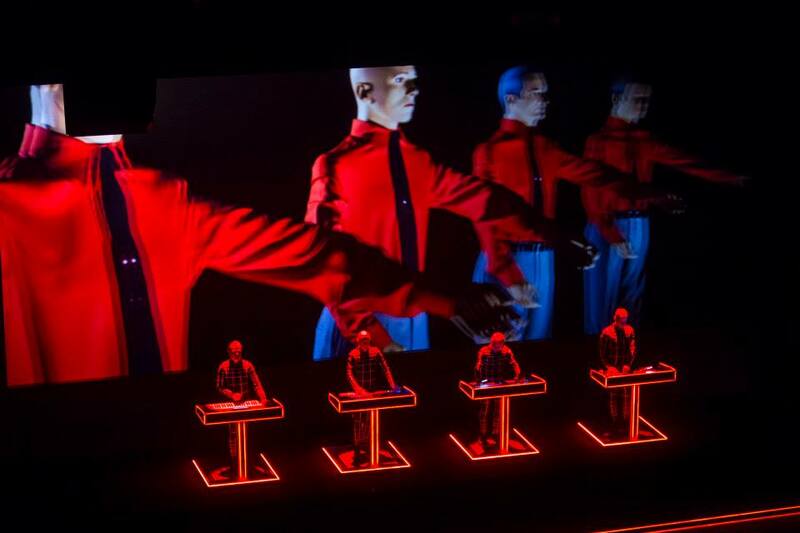 Vivid LIVE at Sydney Opera House will feature local and international artists, including German electronic music legends Kraftwerk and the the world premiere album show of Australia’s Empire of the Sun.